Arnica Yellow Alpine Wildflowers. Vast meadow with dense coverage of Arnica sunflowers. 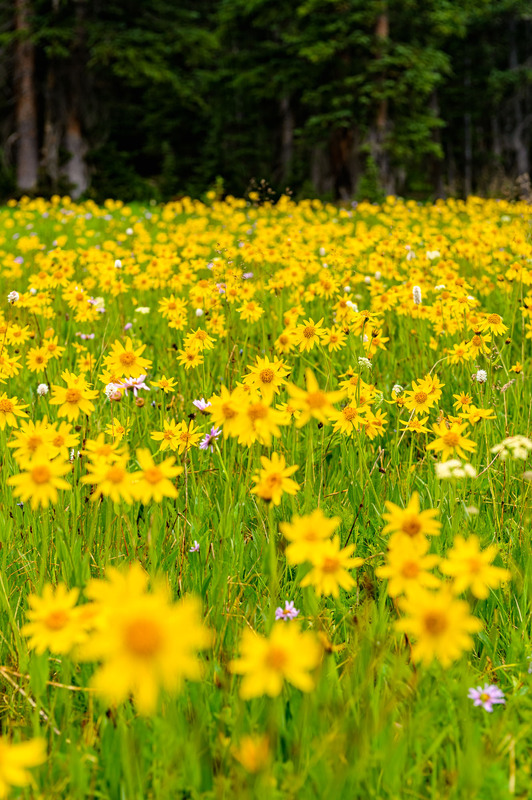 Bright yellow flowers in scenic mountain meadow. Captured as a 14-bit Raw file. Edited in ProPhoto RGB color space.